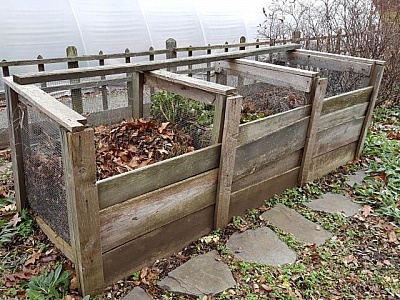 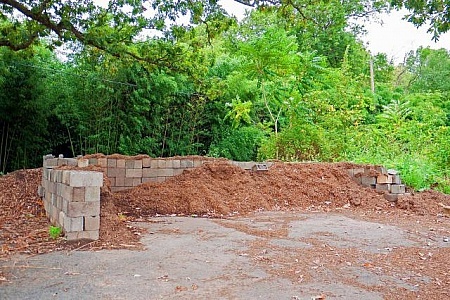 A wooden three stage composting setup in a garden. 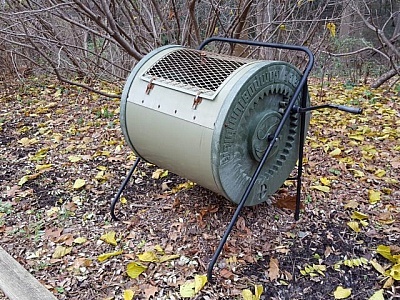 A metal drum compost tumbler bin in a garden. 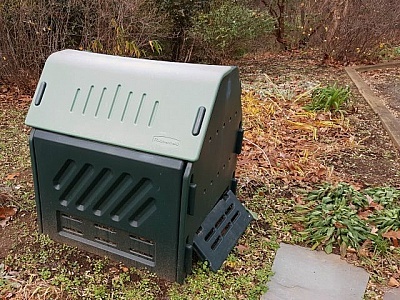 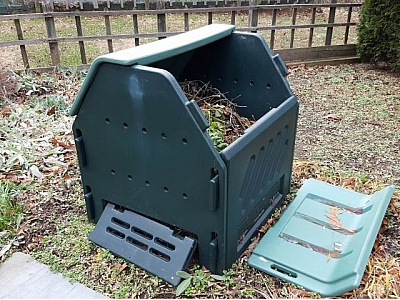 A green plastic compost bin in a garden. 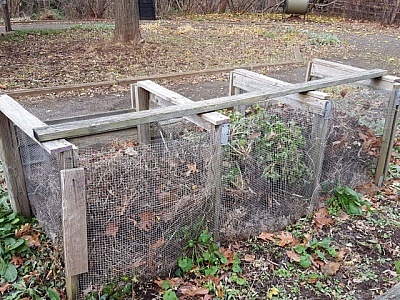 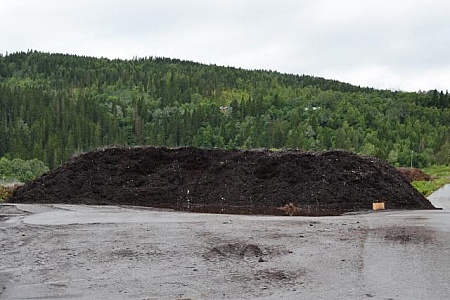 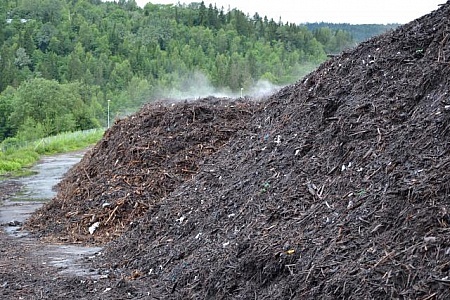 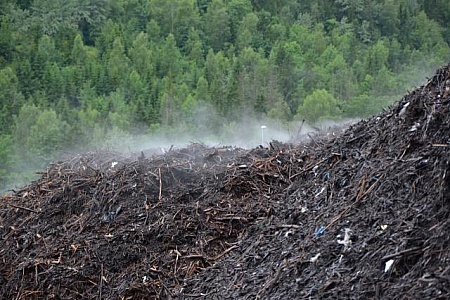 A compost heap at the edge of a bamboo forest. 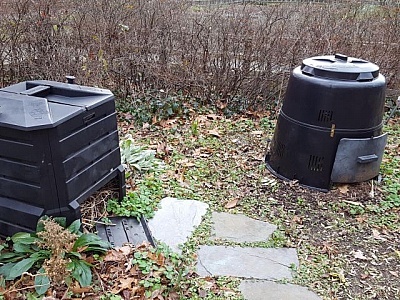 Two black plastic compost bins in a garden.